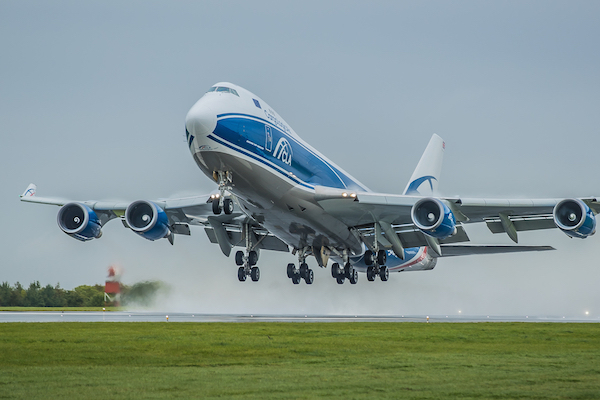 British all-cargo airline, CargoLogicAir (CLA), has boosted its freighter services from the UK with the launch of additional Boeing 747F operations to Atlanta, Dubai and Hong Kong. CLA’s third flight per week to Atlanta, which returns directly to London Stansted, is in addition to its existing 747F flights from Stansted to Mexico City via Hartfield Jackson Atlanta International Airport, which were launched last August. Its 2018 summer schedule also includes new twice-weekly direct services from Stansted to Dubai, continuing onto Hong Kong, and two direct Hong Kong-Stansted frequencies. The expansion of its all-cargo services to the U.S. and Mexico will help to meet growing demand from customers shipping pharmaceuticals, aerospace products and automotive components on these routes. Ex Hong Kong, CargoLogicAir has also added much-needed maindeck cargo capacity for customers doing business on the UK’s biggest import tradelane, which is being further strengthened by significant growth in e-commerce volumes. All services will also offer quick connections to Frankfurt and Europe. CargoLogicAir was awarded its UK Air Operator Certificate and commenced operations at the start of 2016 from London Stansted Airport. Its all-cargo fleet currently consists of one latest generation Boeing 747-8F and two Boeing 747-400 Freighters.